the official website for artist Stuart Sayger, the creator of the comic book Shiver in the Dark. Here you can find out about upcoming appearances and signings, learn more about Shiver in the Dark, see art work in the gallery, visit the shop for all merchandise, or contact the artist. Stuart Sayger exclusive covers now available for order! Stuart Sayger produced cover art for exclusive variantes of G.I.Joe, The Walking Dead, Xena Warrior Princess, Dejah Thoris and more! Print runs are very limited! Our newest creation is the STUARTSAYGER.COM EXCLUSIVE wrap-around cover of G.I.JOE #252! visit the shop and click the "comics" tab to order! Stuart Sayger is a professional illustrator who works primarily in the comic book industry. Known for his moody atmospheric art Sayger first broke into the industry as the creator of SHIVER IN THE DARK, producing the comic independently from start to finish. Sayger's most recent published projects include: "Kiss: The End", "Vampirella vs Reanimator", "Jeepers Creepers", and "G.I.Joe". 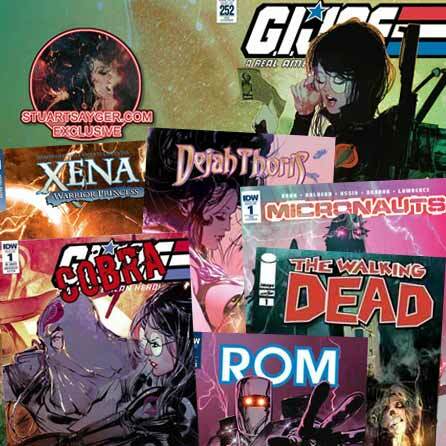 Sayger has also produced covers for "Xena Warrior Princess" and "Dejah Thoris" for Dynamite Entertainment, as well as"Rom" and "Micronauts" for IDW. Past projects include a commemorative issue of "The Walking Dead", graphic novels of "Trick R Treat" and "Krampus" based on the films of the same names from Legendary Pictures. Other well known projects include the "Superman: Man of Steel" movie, and a video game adaptation of Robert Kirkman's "Thief of Thieves". 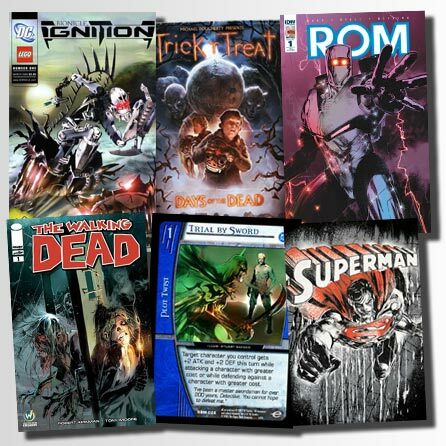 Sayger has drawn many other IDW projects including:"The X-Files", "30-Days of Night," "Robert Rodriguez's Machete", and "Bram Stoker's Death Ship". Toy fans will remember Stuart's work from a 2-year run drawing the "Bionicle" comic book basedon the popular Lego toy line of the same name. The series was translated to 8 different languages and distributed internationally boasting the largest circulation of any comic book in the world!